Varnish is a final layer applied to a painting after it is finished and completely dry. It’s used on paintings that are not going to be framed under glass to protect them from dirt, dust, and pollution in the environment. Varnish also homogenizes (evens out) the final appearance of a painting, making it all equally glossy or matte. You’ve a choice between gloss and matte varnish, applied either with a brush or out of a spray can. Gloss varnishes dry completely clear, but a matte (sometimes called satin) varnish leaves a slight frosted-glass appearance, so you might lose finer detail in a painting if you use it. A varnish should ideally be one that’s removable (check the bottle label, it will tell you) so that it can, at some future date if it has discolored, be removed easily and replaced. Varnishes for acrylic paint are either water- or solvent-based. 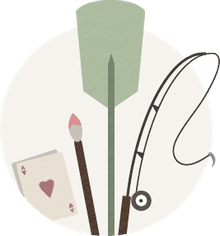 Using a medium that you’ve used in a painting as a final varnish is not recommended, because if this layer is removed at some future date when a painting is cleaned, the painting itself may become damaged. It’s crucial that a painting is completely dry before it’s varnished or the varnish may crack. Waiting for a painting to dry thoroughly is less of an issue with acrylics than it is with oils (some experts say you should allow at least six months). If you want to even out the gloss on a not-yet-dry oil painting, use retouch varnish. Varnishing is not something to be done in a rush; why risk messing up a painting in this final step? 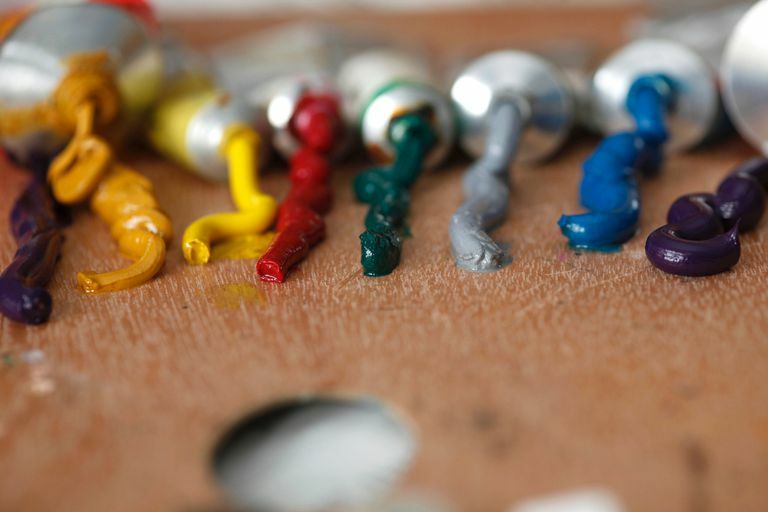 Make sure the painting is free of dust; that the varnish flows evenly without leaving brushmarks (dilute it if necessary), and use a suitable varnishing brush. If you’ve used a removable varnish, hopefully you’ve still got the bottle so you can follow the instructions to get it off. Otherwise, paint on top of the varnish and then revarnish the whole thing again (and hope that you’re not still around if someone tries to remove that layer of varnish and ends up taking off the extra paint and the varnish beneath it too!). If you're using a matte varnish, Mark Golden of Golden Paints recommends you put a "gloss coat down to first seal the surface, then to apply a matte or satin varnish" as this "dramatically improves the clarity of the final finish whether it be gloss or matte or anything in between". Giving this tip in his blog, Golden admits that artists may find it "counterintuitive", but also says "Folks really, really need to practice varnishing! It is the one critical thing missing from most artists toolbox of skills." I used to find varnishing stressful as it is possible to muck it up. My fear was that I'd accidentally go over some varnish that had started to dry and cause it to go cloudy (and acrylic varnish dries very rapidly in a hot climate!). But I kept reminding myself that I was using removable varnish so a painting wouldn't be permanently 'ruined' even if I did. In fact, I have never 'ruined' a painting when varnishing, but it's definitely something where "practice makes perfect", or at least easier. When varnishing a painting, I make sure I'm working in bright light, usually from a window. As I varnish, I angle the painting towards the light every now and then so I can clearly see where I've applied the varnish or not—when it's wet it shines in the light—and whether I've missed any bits. I pour the varnish out of the bottle into a small container that's wide enough for the varnishing brush I'm using. I definitely recommend buying a quality varnishing brush, as it makes applying the varnish smoothly much easier. I always pour out more than I think I might need so I don't have to stop varnishing until I've finished. I usually dilute the varnish slightly with water, following the instructions on the bottle; this makes it spread more easily. Any leftovers I pour back into an old varnish bottle that's marked "working varnish" so I can distinguish it from undiluted varnish. I always apply at least two coats of varnish. Acrylic varnish dries rapidly, but I leave the first coat to dry overnight before applying the second coat. This is put on at right angles to the first to ensure a more even varnish.